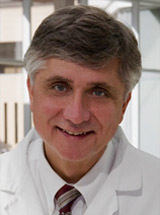 Dr. Schuster is employed by Penn Medicine. Farhan, Ahmed. Chong, Elise A. Schuster, Stephen J. Strelec, Lauren. Nasta, Sunita Dwivedy. Landsburg, Daniel J. Svoboda, Jakub. : Bexarotene in Patients With Peripheral T-cell Lymphomas: Results of a Retrospective Study. Clinical Lymphoma Myeloma Leukemia. 19 (2): 109-115,2019. Thurner, Lorenz. Hartmann, Sylvia. Fadle, Natalie. Kemele, Maria. Bock, Theresa. Bewarder, Moritz. Regitz, Evi. Neumann, Frank. Nimmesgern, Anna. von Müller, Lutz. Pott, Christiane. Kim, Yoo-Jin. Bohle, Rainer Maria. Wasik, Mariusz. Schuster, Stephen J. Hansmann, Martin-Leo. Preuss, Klaus-Dieter. Pfreundschuh, Michael. : LRPAP1 is a frequent proliferation-inducing antigen of BCRs of mantle cell lymphomas and can be used for specific therapeutic targeting. Leukemia. 33 (1): 148-158,2019. Landsburg, Daniel J. Hughes, Mitchell E. Koike, Alexa. Bond, David. Maddocks, Kami J. Guo, Ling. Winter, Allison M. Hill, Brian T. Ondrejka, Sarah L. Hsi, EricD. Nasta, Sunita D. Svoboda, Jakub. Schuster, Stephen J. Bogusz, Agata M.: Outcomes of patients with relapsed/refractory double-expressor B-cell lymphoma treated with ibrutinib monotherapy. Blood Advances. 3 (2): 132-135,2019. Tong, Yubing. Udupa, Jayaram K. Odhner, Dewey. Wu, Caiyun. Schuster, Stephen J. Torigian, Drew A.: Disease quantification on PET/CT images without explicit object delineation. Medical Image Analysis. 51 : 169-183,2019. Schuster, Stephen J. Bishop, Michael R. Tam, Constantine S. Waller, Edmund K. Borchmann, Peter. McGuirk, Joseph P. Jäger, Ulrich. Jaglowski, Samantha. Andreadis, Charalambos. Westin, Jason R. Fleury, Isabelle. Bachanova, Veronika. Foley, S Ronan. Ho, P Joy. Mielke, Stephan. Magenau, John M. Holte, Harald. Pantano, Serafino. Pacaud, Lida B. Awasthi, Rakesh. Chu, Jufen. Anak, Özlem. Salles, Gilles. Maziarz, Richard T for the JULIET Investigators. : Tisagenlecleucel in Adult Relapsed or Refractory Diffuse Large B-Cell Lymphoma. the New England Journal of Medicine. 380 (1): 45-56,2019. Shah, Nirav N. Nagle, Sarah J. Torigian, Drew A. Farwell, Michael D. Hwang, Wei-Ting. Frey, Noelle. Nasta, Sunita D. Landsburg, Daniel. Mato, Anthony. June, Carl H. Schuster, Stephen J. Porter, David L. Svoboda, Jakub. : Early positron emission tomography/computed tomography as a predictor of response after CTL019 chimeric antigen receptor -T-cell therapy in B-cell non-Hodgkin lymphomas. Cytotherapy. 20 (12): 1415-1418,2018. Barrientos, Jacqueline C. O’Brien, Susan. Brown, Jennifer R. Kay, Neil E. Reddy, Nishitha M. Coutre, Steven. Tam, Constantine. Mulligan, Stephen. Jaeger, Ulrich. Devereux, Stephen. Pocock, Christopher. Robak, Tadeusz. Schuster, Stephen J. Schuh, Anna. Gill, Devinder. Bloor, Adrian. Dearden, Claire. Moreno, Carol. Cull, Gavin. Hamblin, Mike. Jones, Jeffrey A. Eckert, Karl. Solman, Isabelle G. Suzuki, Samuel. Hsu, Emily. James, Danelle F. Byrd, John C. Hillmen, Peter. 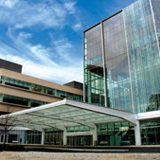 : Improvement in Parameters of Hematologic and Immunologic Function and Patient Well-being in the Phase III RESONATE Study of Ibrutinib Versus Ofatumumab in Patients With Previously Treated Chronic Lymphocytic Leukemia/Small Lymphocytic Lymphoma. Clinical Lymphoma Myeloma Leukemia. 18 (12): 803-813,2018. Bair, Steven M. Strelec, Lauren E. Feldman, Tatyana A. Ahmed, Gulrayz. Armand, Philippe. Shah, Nirav N. Singavi, Arun N. Reddy, Nishita. Kahn, Nadia. Andreadis, Charalambos. Vu, Khoan. Huntington, Scott F. Giri, Smith. Ujjani, Chaitra. Howlett, Christina. Faheem, Malik. Youngman, Matthew R. Nasta, Sunita D. Landsburg, Daniel J. Schuster, Stephen J. Svoboda, Jakub. : Outcomes and Toxicities of Programmed Death-1 (PD-1) Inhibitors in Hodgkin Lymphoma Patients in the United States: A Real-World, Multicenter Retrospective Analysis. The Oncologist. : 2018. Devins, Kyle. Schuster, Stephen J. Caponetti, Gabriel C. Bogusz, Agata M.: Rare case of low-grade extranodal NK/T-cell lymphoma, nasal type, arising in the setting of chronic rhinosinusitis and harboring a novel N-terminal KIT mutation. Diagnostic Pathology. 13 (1): 92,2018. Ruan, Jia. Martin, Peter. Christos, Paul. Cerchietti, Leandro. Tam, Wayne. Shah, Bijal. Schuster, Stephen J. Rodriguez, Amelyn. Hyman, David. Calvo-Vidal, Maria Nieves. Smith, Sonali M. Svoboda, Jakub. Furman, Richard R. Coleman, Morton. Leonard, John P.: Five-year follow-up of lenalidomide plus rituximab as initial treatment of mantle cell lymphoma. Blood. 132 (19): 2016-2025,2018.